We’ve been loving CBD for a while now (if that wasn’t bloody obvious), so much so that we’ve introduced our own CBD product, Anti-Teardrops 1% CBD Oil to the OHNE family (again, we’re pretty sure we’ve banged on about it so much you already know this… but we’re not sorry, ’cause we love it and we love you and you deserve to know about it, cool?) We realised that, while it seemed like CBD was all the rage, basically no one was talking about it’s potential as a tool for when your period strikes. This is where Graces London come in. They’re the awesome company we collaborated with on Anti-Teardrops, and they’ve got over 6 years of experience with making CBD oils – so it’s safe to say that, if you’ve got CBD-related Qs, the founders of Graces are the people to ask. We had a chat with Shiona, co-founder of Graces alongside her husband Jason, about all things CBD. When did you start Graces London? After the legalisation of CBD (Cannabidiol) here in the UK as a food supplement and cosmetic ingredient, we took to work to establish a highly concentrated CBD cannabinoid skincare range. My partner, Jason, and I started whipping up hemp beauty delights in our home kitchen. We tried and tested on family and friends since 2015 with remarkable results. What started as a homemade skincare remedy for the skin ailments of our friends and families quickly progressed into a family-run, natural organic business. We officially set the business up in May 2016 and got to work formulating our ‘Original Blend’, Lavender & Lemon. When did you start using CBD and realise the benefits of it? The first time I used CBD was in the form of a face oil I had formulated for my hormonal acne-prone skin. After cleansing my face, I applied to my skin as a night time treatment. I was extremely surprised to wake the next morning and find my spots had noticeably shrunk and I had hardly any redness or angry looking blemishes. I now use it both morning and night as a face oil and nothing else. After following the growing CBD trends in America, I noticed that more and more people were talking about using full spectrum CBD extract to treat period pain. It was actually (well-known actress) Whoopi Goldberg who brought to my attention the therapeutic uses of CBD to treat PMS symptoms and period pain. What makes me so passionate about CBD and cannabis plants in general is their ability to link and engage with the human body. We all have a regulatory system located in our bodies called the endocannabinoid system. What products do you make with it? We currently make a CBD Skin roll on oil and a CBD lip & body balm. For the last year or so we have been busy formulating our CBD Drops to be taken orally, a CBD Bath Bomb, CBD Raw Cacao Chocolate bars and we’ve got many other exciting things in the pipeline. We will also launch our new CBD skin oil blend called ‘Balance’ 2019. Do you regularly use CBD yourself? I use the CBD roll on oil as both a day and night moisturiser for optimum skin health. I also use the roller as an aromatherapy tool. Applying to either my temples, back of the neck, forehead, wrist or any pressure points of the body really calms and relaxes me on those busy stressful days. I incorporate the CBD roller into my daily yoga practice and love to use the CBD body balm to moisturise and soothe my skin, lips, nails and cuticles. I apply the balm or roller ball during PMS and treat myself to a weekly foot massage to engage with reiki principals. What pains, physical or mental, have you found people in the ‘CBD community’ are most frequently using it for? I would say most people in the UK CBD community are using CBD for general health and over all well being. What has been most exciting for us is relying on our customers to give feedback on the product and what they use it for. With growing research and information becoming more readily available regarding CBD, a lot more people are making the switch to plant-based materials in such a toxic synthetic world. CBD is being incorporated into many industries such as the food and drinks industry and health & beauty. We receive customer testimonials praising CBD for helping them to soothe many skin problems such as acne, eczema, sore and stressed skin, plus the added aromatherapy benefits of incorporating an overall sense of calm & relaxation in stress and anxiety moments. We find a lot of customers not only use the CBD Body balm to moisturise and balance the skin but as a muscle balm to help soothe mild aches and muscular pains. CBD has anti-inflammatory properties and infused with carefully selected essential oils can enhance the overall benefit of applying to the skin. How would you describe its effects? CBD is a non-psychoactive part of the cannabis plant so there are no feelings associated with feeling ‘high’ like its sister cannabinoid THC. The overall feeling reported to us from using CBD daily has been described to us as feeling generally balanced. Do you still find there’s a lot of stigma around using and distributing CBD oil? How do you overcome this and why do you think this is an important product to have on the market, despite its challenges? Yes. Breaking the stigma of cannabis was our company driving force and still is. It was extremely important for us to not only make a fantastic product but to re-introduce hemp cannabis as an essential beauty or kitchen cabinet item. Cannabis is still heavily linked with the association of smoking cannabis, getting high or stoned. It is extremely important to us to break down the chemical constitutes of the plant and explain how CBD is a non-psychoactive part of the plant and can be used in so many varied ways. This is not me saying THC is bad, far from it! We have trace elements of THC present in our products under the UK legal requirement of 0.2%. It is very important for us to have THC present in the product as growing world research has shown that the THC cannabinoid actively engages with the cannabinoid receptors whilst CBD only influences. As more and more research emerge it is essential, we keep up to date on the science and customer feedback to ensure we can create the highest quality product and use customer data analysis to inform, educate and strive forward in this new era of hemp cannabis plant science. Very exciting!! 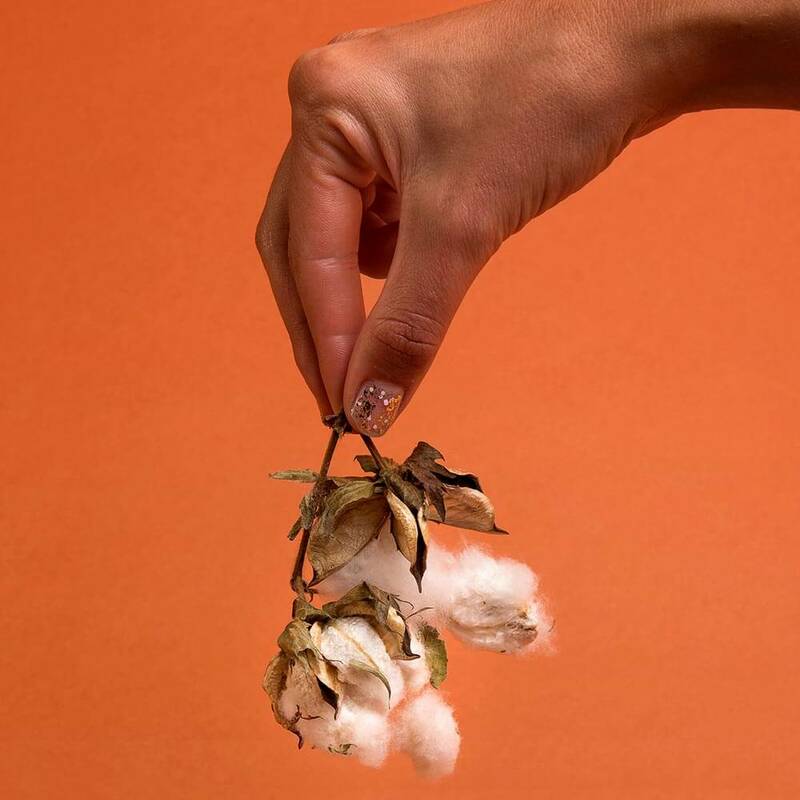 When you initially started using the product and developing your company, did you envision that it would be something women could use to help ease their period pains? Not really, I knew there was research connecting the endocannabinoid system to pain receptors in our body which could maybe help alleviate some pain, but it wasn’t until my adenomyosis diagnosis and further research from American companies that I began to look at CBD as a helpful aid in women’s menstrual cycle. Further investigation and personal testing revealed to me how heavily linked cannabinoids such as CBD, THC, CBG, the endocrine system and the endocannabinoid system were. If women do chose to use it to help their period pains, how do you recommend they do so? I first trialled the CBD roller by applying straight to my stomach and lower back at the time of period pain. At times with my adenomyosis pain I suffered with something called ‘break through pain’ which is so excruciating I would sometimes vomit or pass out. My partner Jason suggested applying the CBD oil to the tip of my tampon. This is something I still do today during my menstrual cycle. I also started to ingest CBD daily and have found my ‘break through’ pains and overall period pains have decreased. Do you see CBD becoming an important part of the wellness movement this year and in the near future? Definitely! As more and more people try CBD as a food supplement, skincare product, etc., the overall effects on general well being can be internally felt and recognised. People today are more in tune with their bodies and strive to live a healthy, natural and well-balanced lifestyle. In a world where harsh chemicals and pollutants are coming at us at every angle in many forms such as food, drink, skincare, cleaning products and even clothes, I believe 2019 is the year of awakening to the wonderful therapeutic and natural attributes of all plants, especially the Hemp Cannabis plants. Green chemistry has never been so exciting! With the endocannabinoid system having only been discovered in the 1970s, the next 10 years of cannabinoid research will be extremely exciting, and we see hemp cannabis becoming a staple part of everyone’s daily lifestyle. What kind of products would you most like to make with CBD? What kind of ailments and pains do you believe CBD could help, if the products/education were there? With the UK government finally recognising CBD as having medicinal qualities and legalising medicinally in November 2018, it will be great to see the future research that emerges from the UK in response to neurological, immune, and endocrine diseases. We use CBD as a food supplement and cosmetic product, so keeping up to date with the medicinal side of things is important. We are always striving to create natural, innovative and pioneering products in the CBD industry. Continuing to listen and engage with our customers is of upmost importance to us and making products that are easy to use and of the highest quality will always be at the core of everything we do. The future is very promising and through our blog, website and social media platforms we will spread our love and passion of CBD & Cannabis through education, honesty, and our personal stories. 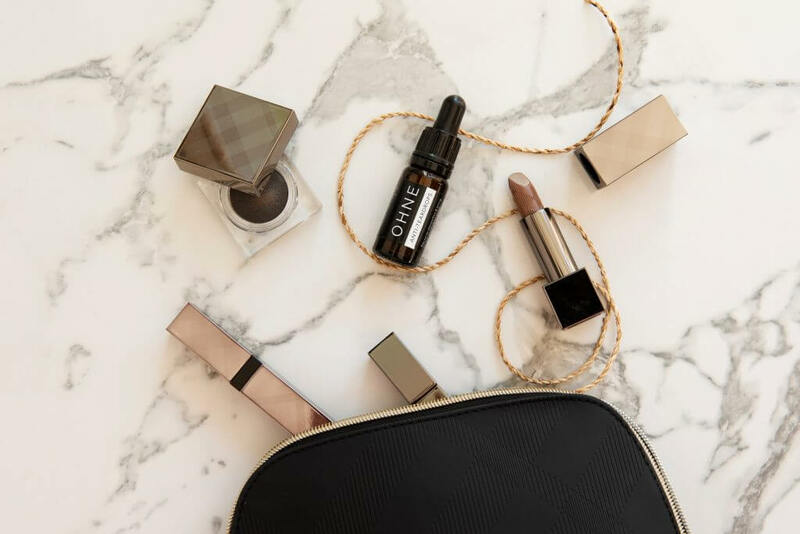 Discover the hype for yourself and try the UK’s first pro-period CBD oil, made by OHNE in collaboration with Graces London. Buy your Anti-Teardrops 1% CBD Oil here.